I think George Orwell wrote 1984, not Orson Welles! And I cannot see the poster either! Where can I buy one of these posters? I am interested in buying this print in poster size! I am also interested in buying this poster if anyone has got an original in good condition. Please email me at kensingtonite@hotmail.com. Thanks! 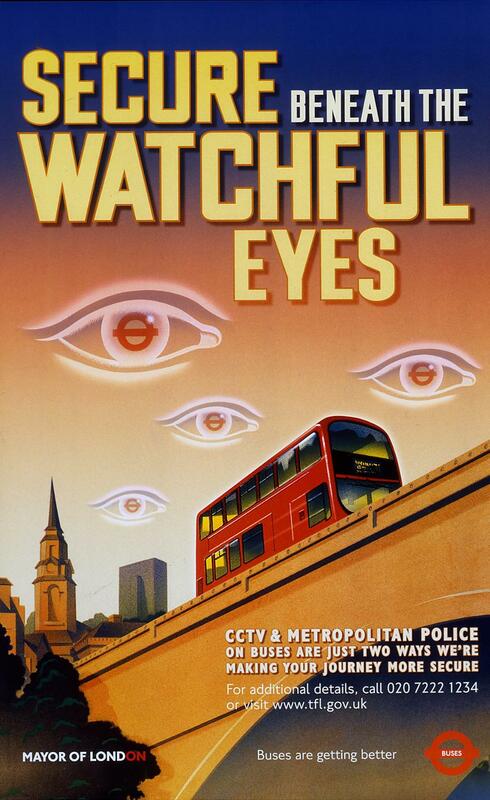 Does anybody remember seeing a variant of this poster: it was landscape format, and only installed inside buses. I believe the eyes in the sky looked a little different in this version.